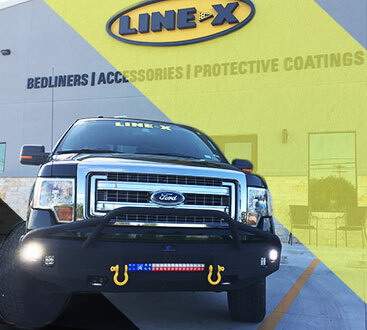 LINE-X of Austin offers much more than bedliner — we can handle anything and everything a truck needs. 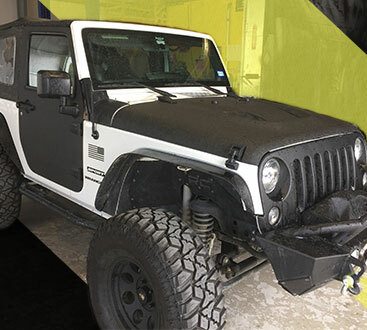 As a full automotive aftermarket off-road shop, LINE-X of Austin has the capability to install everything from floor liners to lift kits. We take pride in customer satisfaction, and countless customers have noted that they love our precise attention to detail and clean, professional installations. With more than 10 years of experience as a provider of aftermarket auto parts, our team of professional, knowledgeable staff is committed to working with you to help you protect and enhance your investment. We are willing to go the extra mile and strive to exceed our customers’ expectations with every single installation and service provided. When we see our customers leave the shop with smiles on their faces, it is the greatest gift we could ask for. All services and installations are performed on-site at our brand new, state-of-the-art facility. Clean and comfortable, our facility is a pleasant place to wait for your service or installation to be completed, or if you wish, a friendly member of our LINE-X of Austin team will gladly give you a courtesy ride to your home, workplace, or anywhere else you prefer to wait. Ready to get started? Contact us today for a free quote, or simply stop by our facility located at 10209 E Crystal Falls Pkwy in Leander, Texas, anytime during our hours of operation. We look forward to serving you!